Mythical beasts, phantoms, monsters, "yokai", are all hunted as illegal rare species that are traded at high prices on the black market. AxL and his team fight those who would sell their kind as merchandise or slaves. 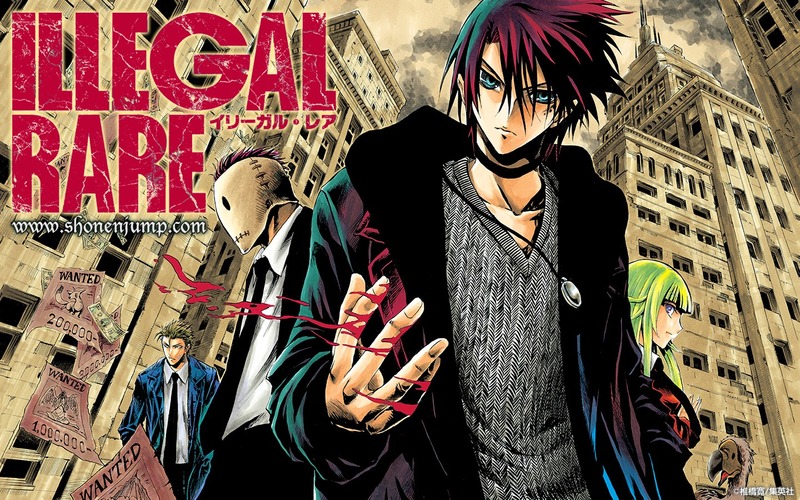 Illegal Rare started in issue 11 of Weekly Shonen Jump by Hiroshi Shiibashi, author of Nurarihyon no Mago. Shiibashi has evolved his art style which is shown clearly in this new series. His previous series, Nurarihyon no Mago had a very artist yet dark feel to it. Illegal Rare uses fewer screen tones and as a results it gives a feeling of air that is needed in such a dark storyline. The first chapter was an interesting read, hopefully Illegal Rare will outdo Nurarihyon no Mago and reassert Shiibashi as great Jump mangaka.